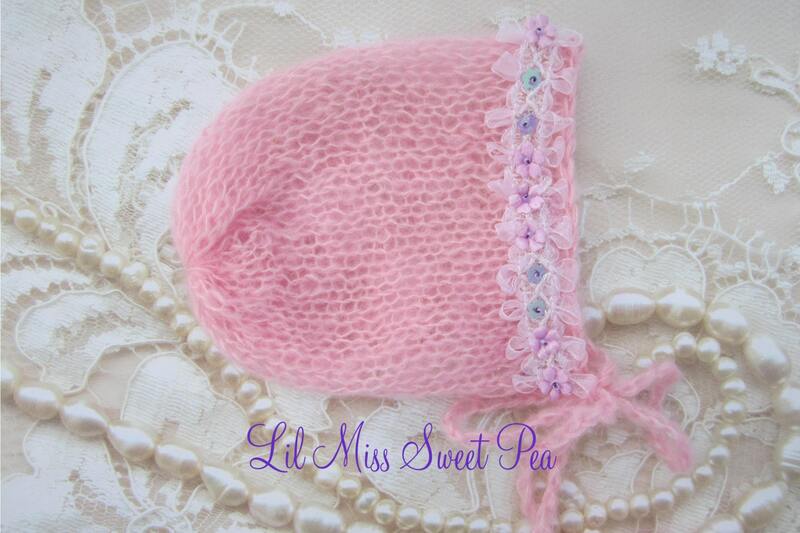 Pink Newborn Mohair bonnet trimmed with organza bow trim with sequin flowers. 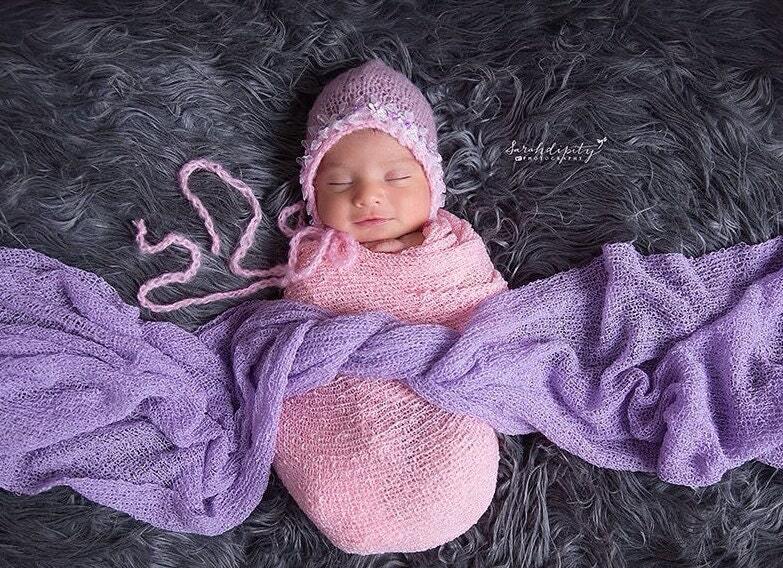 Perfect for newborns. These are super soft and come with a mohair tie. Fits newborn to 3 months. Click the zoom button to see the detail! 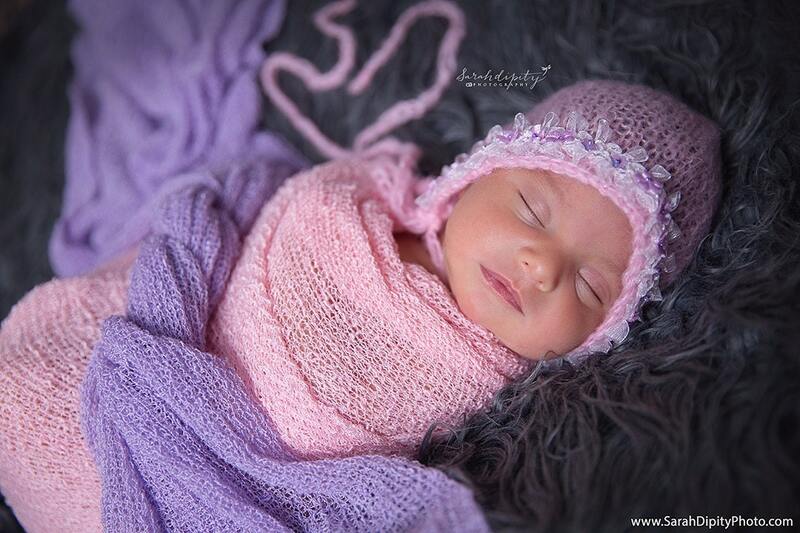 Adorable for the new baby girl! !